In a previous article we explained the difference between monophasic and biphasic defibrillation. However, this is not the only difference with AEDs. There are in fact also fully automatic and semi-automatic AEDs. In this article is detailed what the difference between those two types of AEDs is. Both a fully automatic AED as a semi-automatic AED prompts voice and helps resuscitation. Also, all models automatically analyze whether it is necessary to give a shock or not. The difference between a fully automatic and semi-automatic AED is basically nil. A semi-automatic AED has a shock button that must be pressed by the operator. In this way, the moment of the shock can thus be self-inspected. The AED will still give instructions and tells the operator when the shock button needs to be pressed. 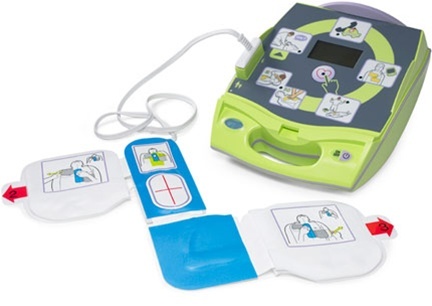 A fully automatic AED gives, if necessary, an automatic shock to the victim, without the operator having to do anything and without giving the operator the opportunity to control the shock. The AED will take the time to warn the operator when the shock will be given. Advantages and disadvantages Semi-automatic AEDs are the most sold ones. The main reason is that the operator can ensure that no one is in contact with the victim at the moment of the shock. In this way rescuers are not at risk of getting a shock from the AED. Check out the large range of used AEDs here from Used AED.